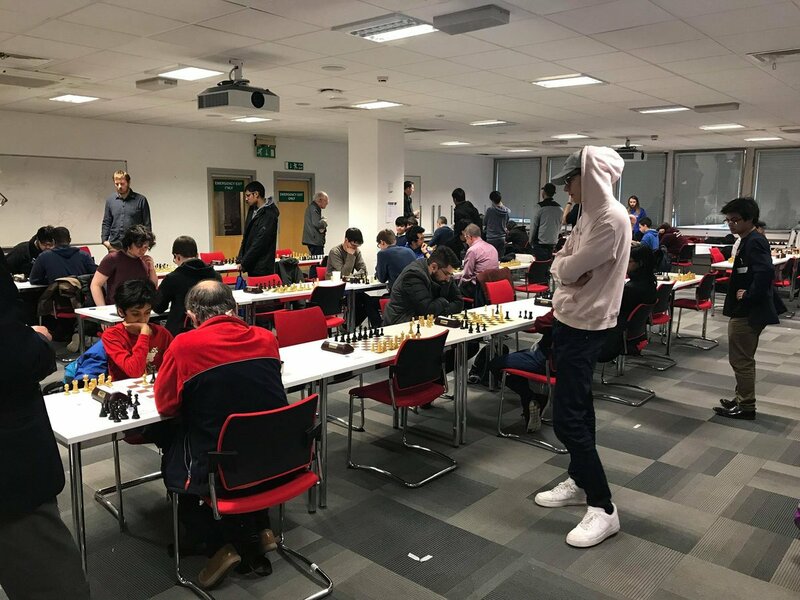 Inaugural ECF and FIDE-rated Warwick University Rapidplay Tournament, held on Saturday 3rd February 2018, at the University of Warwick, Library 2, Library Road, Coventry, West Midlands, CV4 7AL. 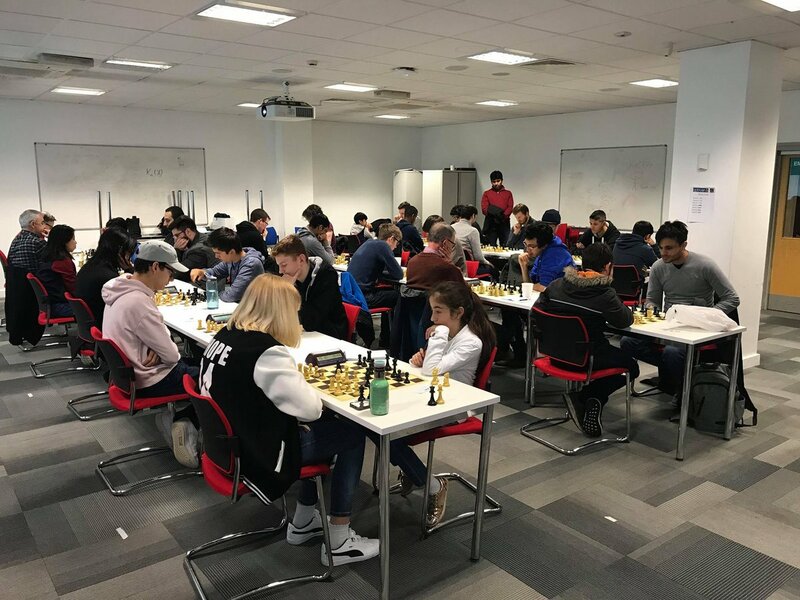 There will be an Open and Minor (U135 ECF) Section; both with seven rounds of 15 minutes + 10 second increment. 100% of fees goes towards prize money. Full details and an updated player list can be found on our website. 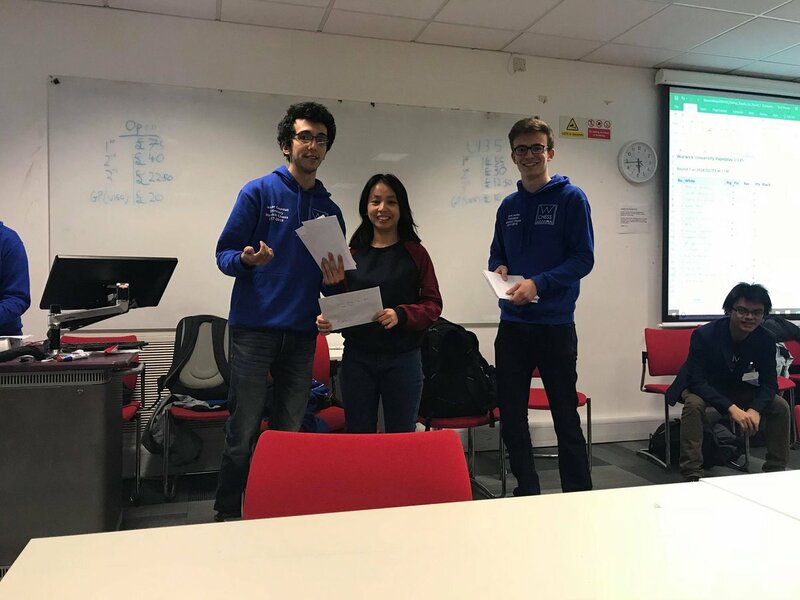 Estimate Prizes based on an expected 50 entrants; prizes based on fixed percentages in brackets. The venue is wheelchair accessible but please email us beforehand to check details. Last edited by Hok Yin Stephen Chiu on Fri Jan 26, 2018 9:38 pm, edited 1 time in total. 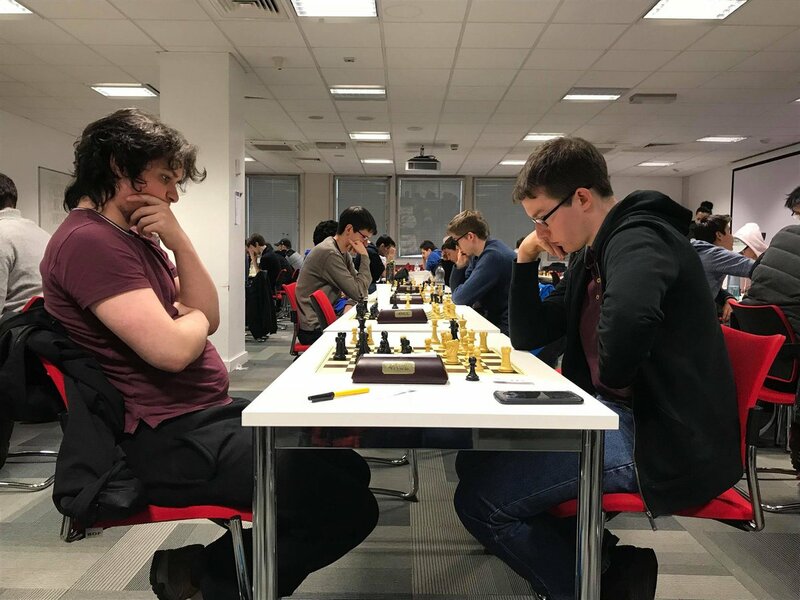 One week to go till the Warwick University Rapidplay Tournament on Saturday 3rd February! Final day for entries are today! 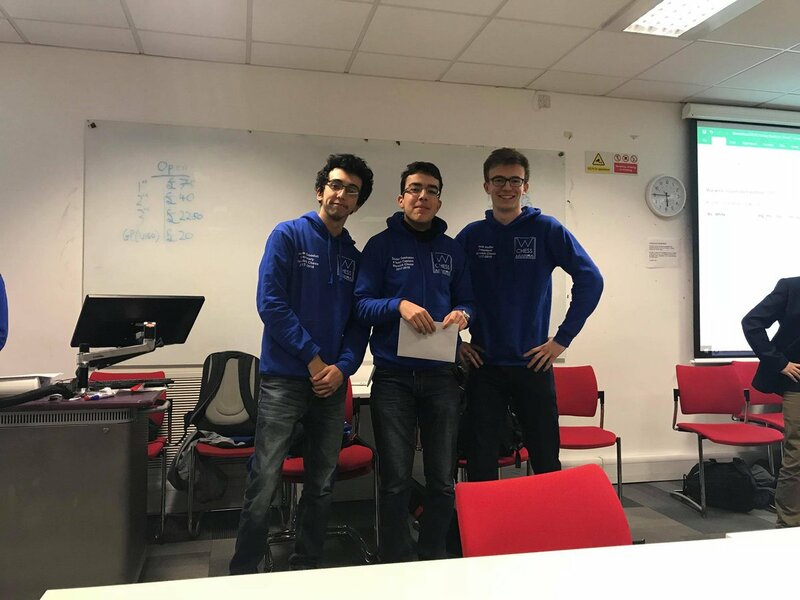 The Tournament is tomorrow (03 Feb 2017), Round 1 starting at 10:30. Also, note that parking is available next to the venue, and will be free on the weekend. Last edited by Hok Yin Stephen Chiu on Mon Feb 05, 2018 8:48 am, edited 1 time in total. Shame I only just saw this, I probably would have turned up if I knew about it sooner. 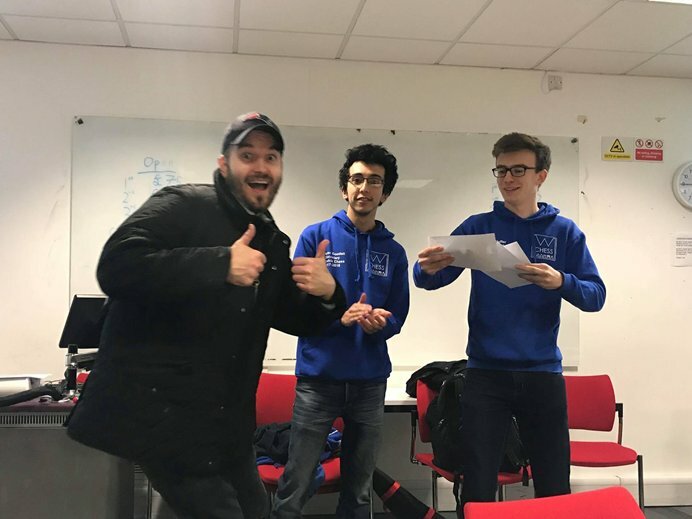 Good effort getting everything organised, it looked like a successful tournament, if you are planning another one it would be good to know so I can try and get up to play it this time. 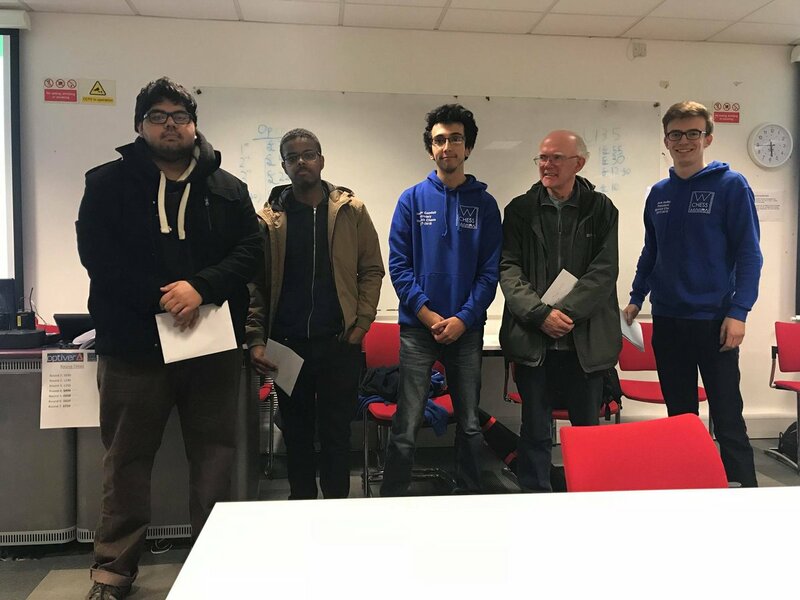 Sunday 27th January: Coventry & District's CENTENARY RAPIDPLAY (6 rounds, 20'+10'', ECF-graded, and FIDE-rated) - celebrating 100 years of the League. 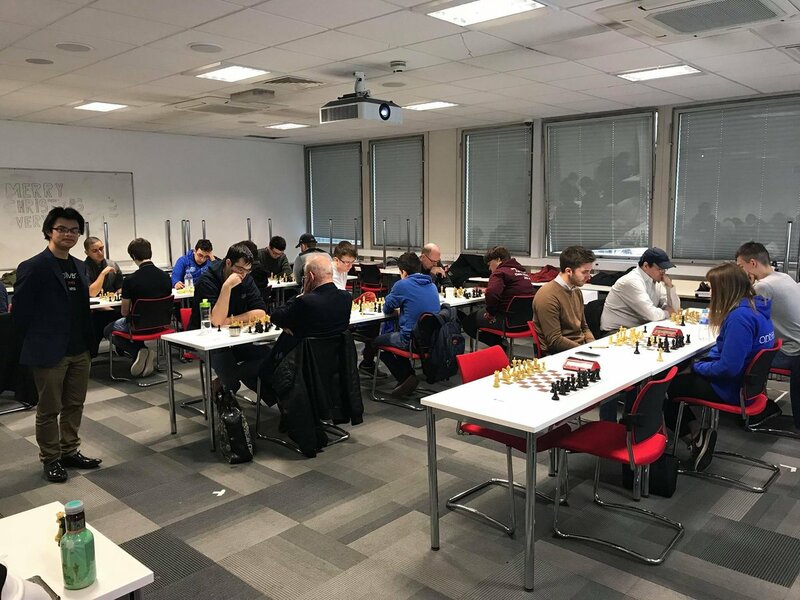 Saturday 16th February: 2nd Warwick University Rapidplay Tournament (7 rounds, 15'+10'', ECF graded & FIDE rated) - details coming soon.